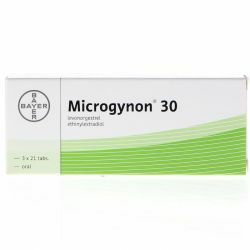 The Brevinor contraceptive pill contains two hormones - a progestogen hormone called norethisterone and an oestrogen hormone called ethinylestradiol. These two hormones act together and prevent pregnancy from occurring. Brevinor is part of a group of medicines called combined oral contraceptives, and it's also known as “The Pill”. 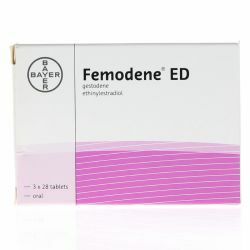 Always take this medicine exactly as your doctor or pharmacist has instructed. Brevinor can be taken with or without food. Take the first tablet on your first day of bleeding. Then, start the next blister strip. Do this whether or not you are still bleeding. You will always start the next blister strip on the same day of the week. 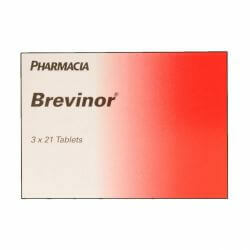 Each Brevinor tablet contains 500 micrograms of norethisterone and 35 micrograms of ethinylestradiol. The other ingredients are maize starch, polyvidone, magnesium stearate, lactose (see section 2 - Brevinor contains lactose) and colouring E132. - pemphigoid gestationis (a rash previously known as herpes gestationis typically with blistering of the palms of the hands and the soles of the feet). if you have had or have vaginal bleeding, for which your doctor could not find the cause. Any disease that is likely to get worse during pregnancy. 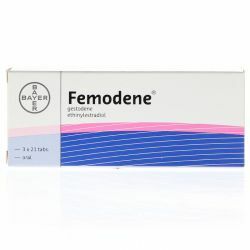 Brevinor contraceptive pill contains lactose which is a type of sugar. If you suffer from diabetes or you have been told by your doctor that you have an intolerance to some sugars, contact your doctor before taking this medicine. Consult the patient information leaflet for more information and details on possible risks and side effects.